Some families had just one relative remembered on the war memorial at The Vine. Others, like the Copper family from the Hartslands area in Sevenoaks, lost more of their men. Silas and Emma Copper had ten surviving children from a total of fourteen born during the course of their marriage. They lost one son in the war every year from 1915. Then, in September 1918, their son-in-law, Thomas Garrett, husband of their daughter, Amelia, died of natural causes. Two other sons, Charles , a veteran of the Boer War and Stephen also fought, both surviving the war although Stephen was badly wounded. 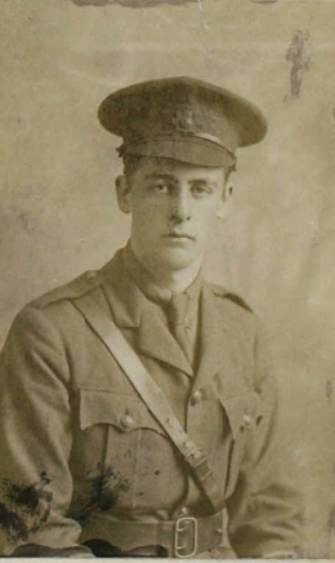 Benjamin Copper, born in 1889, was the youngest of the brothers and the first to be killed in action. The 1911 census records Benjamin, a general labourer, as a patient at the local cottage hospital. 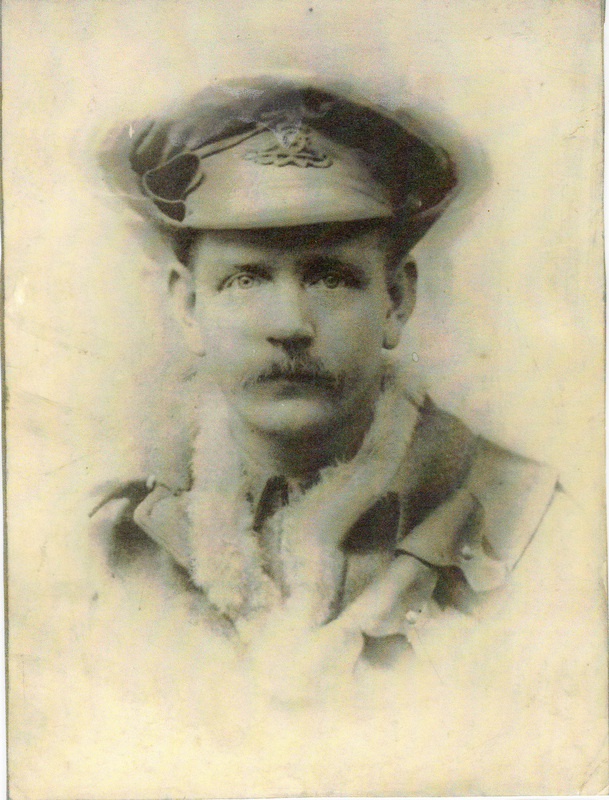 Benjamin served with the Royal West Kent regiment and was at the Front from June 1915. He was killed in October that year at the Battle of Loos and is remembered on the Loos Memorial. Silas Copper, born in 1879, was the eldest of the brothers who died. The 1911 census shows Silas, known by his second name of George, self employed as a chimney sweep. According to his service records, he lived at 6, Holyoake Terrace with his wife, Margaret Edith, whom he had married just before the outbreak of war, on 1st August 1914. 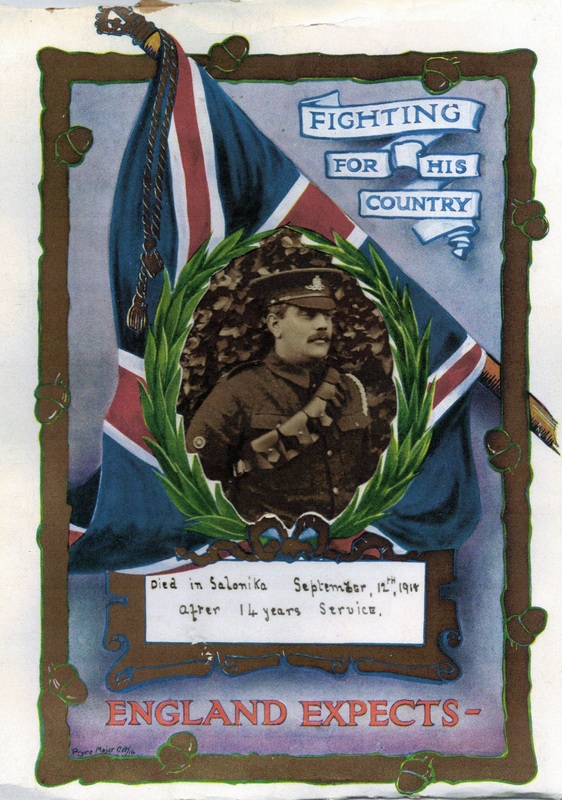 Having previously fought in the Boer War, Silas enlisted in December 1915 aged 37 and was recorded as having good physical development, being 5’ 8 1/2 tall and weighing 165 lbs. He had various tattoos, including, marks on his right forearm and the initials SG in a heart with a dagger. He served with the Royal Sussex regiment before being transferred to the Royal West Kents. Silas died of his wounds in December 1916 and is buried in the Bethune Town cemetery, north of Arras, France. William Copper was born in 1883. The 1911 census shows him living with his wife, Martha Louise and young son Roy. William is recorded as a bricklayer’s labourer. According to his obituary, William had worked at Knole House, home of the Sackville family, for six years before joining the army, having been in the regular forces for twelve years. He was a keen cricketer and played regularly for Godden Green, where he is remembered on the village war memorial. William, a bombardier with the Royal Garrison Artillery, had been home on leave in December 1916, spending Christmas with his family and no doubt mourning the death of his brother, Silas. He died six weeks after his brother in January 1917, shortly after returning to the Front, at the Somme and is buried in the Longueval Road Cemetery, France. Thomas Garrett was born in Chevening in 1886, the son of Sampson Henry Garrett, a shepherd and his wife, Tryphena. The 1901 census shows that Thomas has became an apprentice coach builder. Unfortunately, Thomas’s service records have not survived but he appears to have joined the army in 1904 and the 1911 census records him as stationed abroad with the Royal Garrison Artillery. ‘The retreat from Mons was a grand feat of arms. The infantry covered retirement of our guns daily in perfect style, and when it was possible for us to get into position we also helped to cover the infantry regiment, who fought the Germans often to a standstill and forced them to retire before retiring themselves. Then came the day for advance, which was a bad day for the Germans when they had to retire from their prize Paris to the Aisne. They fought very hard at times but were no match for that ‘contemptible little army’, which were at them night and day. There were awful sights on our retirement, but it was beaten by the sight on the line of the German retreat, leaving many prisoners who were glad to be taken. They were half starved in their rush for Paris. They were well fortified with big guns and they gave us a warm time. One day, finding our battery with their Jack Johnsons, we lost nine men killed, five wounded, and one wagon was destroyed. We had nerves for a time I tell you, but got over it and we did good work until we were relieved by the French. We then left for Flanders, and there have been some warm times there. I left the “boys” behind fighting their hardest and getting the best of it. I saw the West Kents a few times and like lots of other Regiments have gone through it bravely and have done good work’. ‘ I have had the luck not to be wounded but Mr Rheumatism caught me and I was taken to Boulogne, from there to Charing Cross Hospital, and now I am at Furzedown Convalescent Home. Everything is done here for our comfort. We have all sorts of games and go for nice long walks when it fine. We also have a nice kind lady and sister in Mrs Bently, and a fine staff of kind nurses to look after us. We were also well looked after at Charing Cross Hospital. We have had nice motor rides, and kind ladies often asked us to tea. I was pleased to see the name of Mr Weth in the Roll of Honour in your paper. He is a good soldier and marksman (a dead cert). I hope that new war picture “Wake Up” will soon be shown in Sevenoaks. It will all help to swell the ranks of Sevenoaks. Sevenoaks have made a grand show, and I do hope if enlistment comes as a thing of force men who have enlisted voluntary will get a badge of some sort; also that men who have tried to enlist and have failed because of health should not in any way be slighted”. Thomas had married Amelia Copper in the later summer of 1913 and lived at 9, Prospect Place. He died of natural causes in 1918. 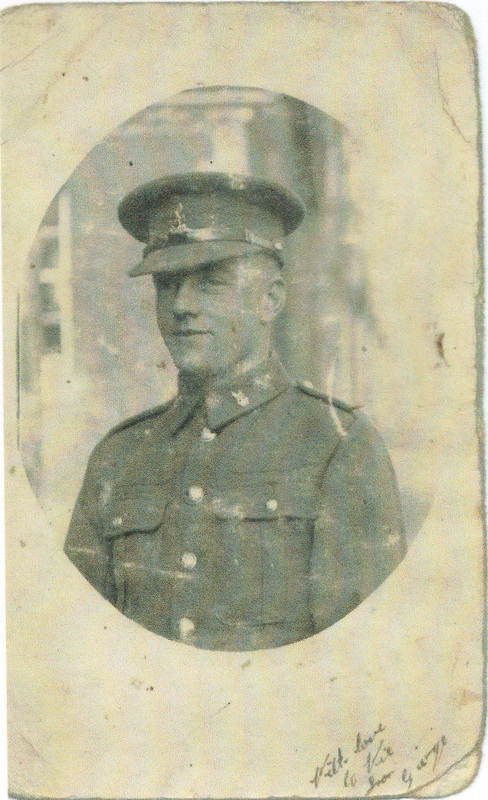 He had served in the army for nearly fourteen years, having seen service in India and Aden. Thomas had been in France for eight months before being posted to Salonika in November 1915 for the remainder of the war and is buried in the Salonika Military Cemetery, Greece. 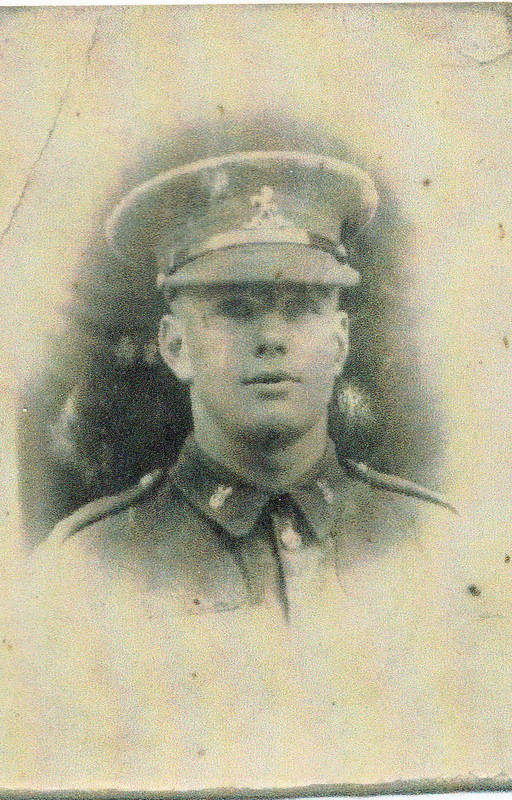 Stephen Copper enlisted in September 1914 and served with the Royal West Kents. 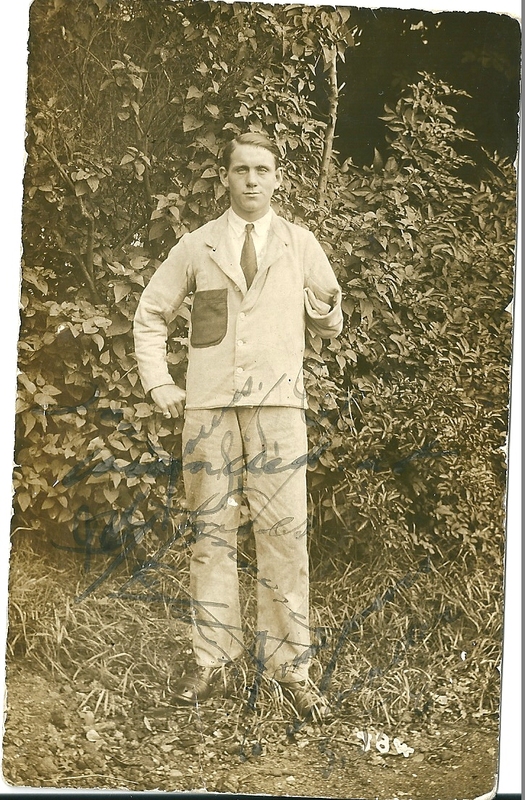 He was shot in the left arm in March 1916, the wound being so severe that the arm was later amputated. Last year I asked Stephen’s son what his father did after the war, he replied that despite his injury, he drove a motorbike for Kipps the butcher’s at St John’s! His employer’s son, Lieutenant George Kipps, was also killed during the war and is remembered on the memorial. 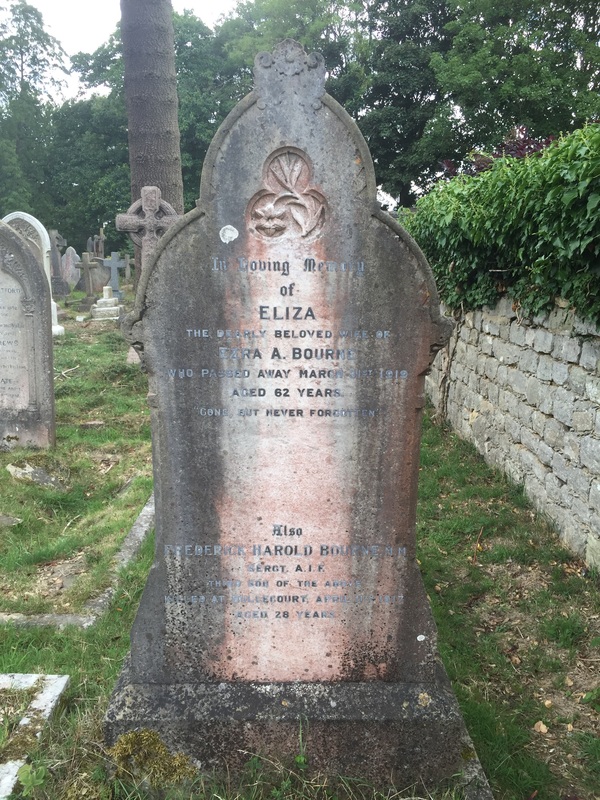 George Walter Quinnell (1892 – 1915) and his brother Albert Edward (1900 – 1917), both remembered on the town memorial, were first cousins of the Copper brothers, through their mother, Emma’s (nee Luckman) sister, Elizabeth. It is possible that John Luckman, also named on the war memorial, is connected to the family but his background has proved difficult to research. It is possible that he was sent to Canada as one of the British Home Children before later returning and enlisting. At least seven members of this close family in Sevenoaks paid the ultimate sacrifice while others lived with the consequences for the rest of their lives. The majority of men named on the Sevenoaks war memorial are buried or remembered abroad in the immacualately maintained cemeteries of the Commonwealth War Graves Commission. Some, however, are buried much closer to home, often because they were invalided back to England and were buried locally after dying of their wounds. There are CWGC graves at Greatness Cemetery and in local churches, in and around Sevenoaks where men such as Alfred Hope and Harry McCarthy are buried. Many of these men buried at home were given a funeral with full military honours, which was reported in the Sevenoaks Chronicle. At St Nicholas, the parish church of Sevenoaks, there are several memorials to some of the Sevenoaks fallen inside the church; others are buried in the churchyard or remembered on family graves despite being buried elsewhere. Inside the church are memorials to John Sherbrooke Richardson, Geoffrey Harrison, George Henry Heslop and William Guy Cronk. 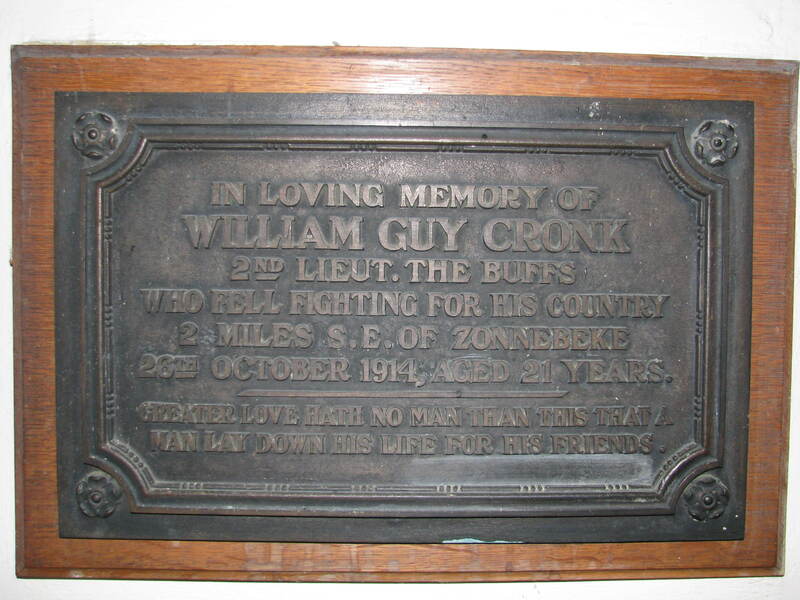 Cronk is also mentioned on the tombstone on his parents grave and was one of the earliest of the Sevenoaks casualties, being killed in 1914. 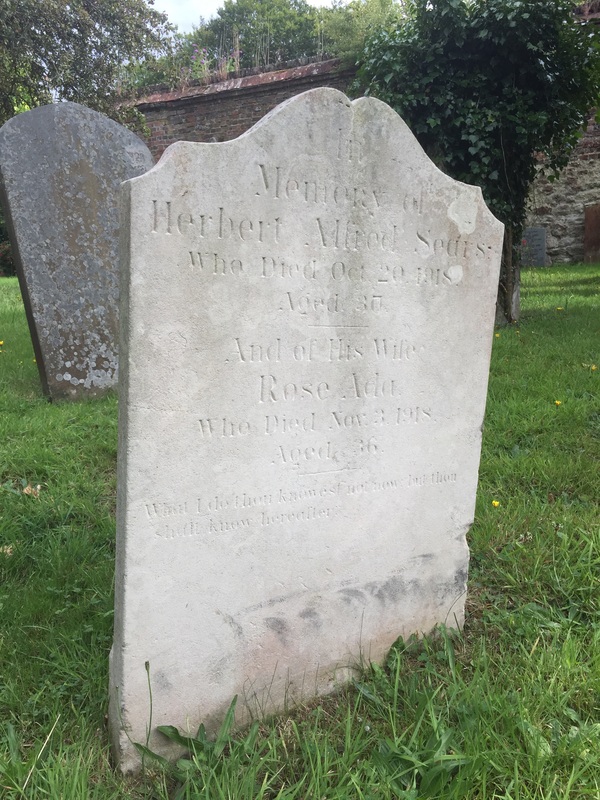 Herbert Sears and his wife, who both died within a week of each other during the influenza pandemic of late 1918, leaving five young children are also buried in the churchyard. Herbert had run the Rectory Farm for the Rev John Rooker and, as a conscientious objector, had served with the Labour Corps. Others remembered on family graves include Frederick Harold Bourne who fought with the Australian Imperial Force, brothers Percy and Albert Hayward and Jack Baldwin. All of these men are remembered on the town war memorial and so I have recently been researching the graves of those men who are buried in the churchyard but not named at The Vine. Shortly after mid-day, the deceased walked up through the town and spoke to Mr Fulbrook about a game of billiards that was played the previous evening. He then appeared to be in his usual health and was in good spirits. Two or three minutes later however, he fell down in front of the side door of the Dorset Arms Hotel. A member of the R.A.M.C and several others rendered assistance but before medical aid could be summoned the unfortunate man had passed away. Deceased who was about 38 years of age, was a popular non-commissioned officer, both among the corps and the townspeople to many of whom he had become known during his stay in Sevenoaks. A native of Gillingham, he had seen 18 years service in the army. 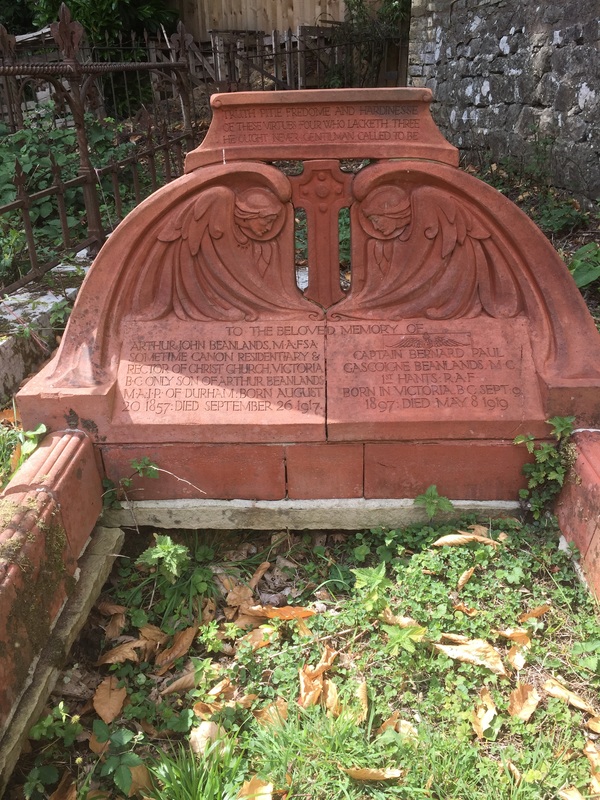 The funeral took place with full military honours …when the remains were interred in St Nicholas cemetery. The coffin, covered with the Union Jack, was conveyed to the church on a gun-carriage, supplied by a Home Counties Battery whilst the Middlesex Regiment provided a firing party and trumpeter who sounded the Last Post. The band of the Middlesex Regiment led the solemn procession which included a very large number of deceased’s friends from the various units stationed in the town. 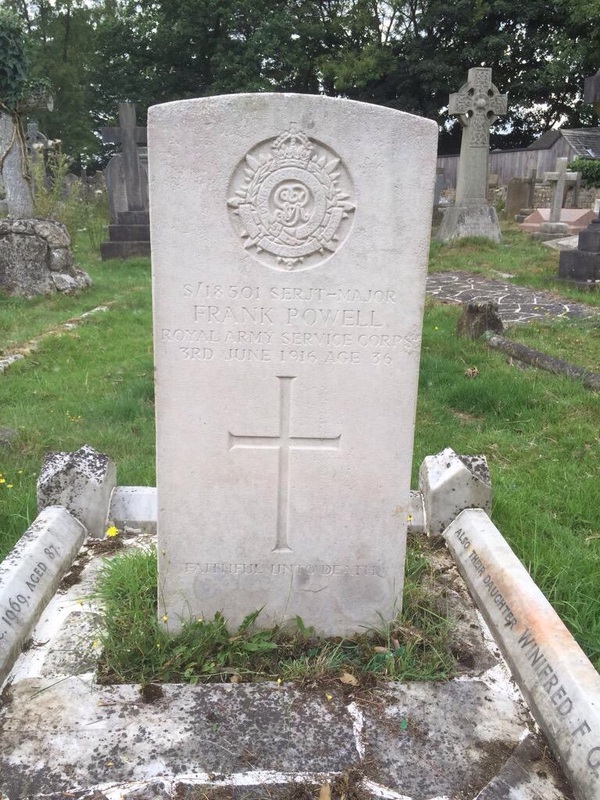 Frank appears to have been born in 1874 but lied when he enlisted in 1901, giving his age as twenty, meaning that his grave shows his age as thirty six and not forty two. Frank’s only daughter doesn’t appear to have had children who could shed further light on the story and I wonder how unusal this grave is? I’m aware of some CWGC graves where the names of other family members have been added but have not seen any others like this. Others buried in the churchyard include Second Lieutenant Charles Nesfield Andrewes. Born in 1876 in Horsham, Sussex, Charles Andrewes attended Trinity College, Cambridge and joined the South Devon Yeomanry in 1902. He served during the war as a Lieutenant in the Labour Corps and died of influenza after the Armistice on 29 November 1918. Perhaps the most famous combatant to be buried in the churchyard is Captain Bernard Paul Gascoigne Beanlands, a Canadian flying ace credited with several victories. He is at present at Brighton and has been out on parade on a spinal chair. It will be a long, slow cure. Captain Beanlands has the honour of being known as a very clever Airman and has been responsible for the fall of numerous enemy aircraft. Paul Beanlands recovered and was wounded again three days after his final victory in March 1918 and did not return to combat. However, he survived the war only to die in a flying accident at RAF Northolt on 8 May 1919. He was buried next to his father in the churchyard at St Nicholas. With the passage of time some of these graves have fallen into disrepair while others are still legible and bear witness to the men who fought. As usual, I’d be very pleased to hear from anyone who has a connection to any of these men.